Why? Because this verb sounds like it’s straight out of a sci-fi novel or a radio operator’s guide. And you usually hear “transmission,” the related noun, when someone’s talking about cars. 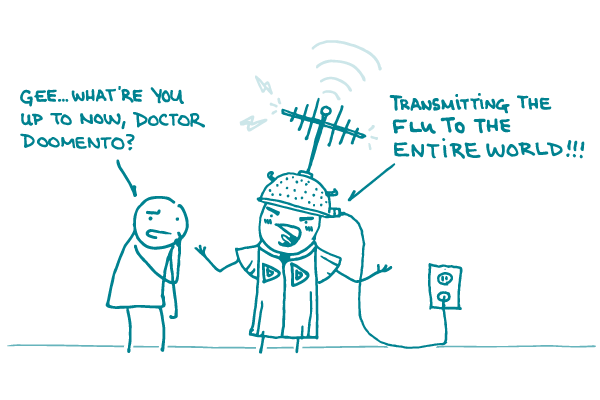 The flu can be transmitted easily from one person to another. Mothers who take HIV medicine while they’re pregnant can lower the risk of mother-to-child HIV transmission. The flu can spread easily from one person to another. Mothers who take HIV medicine while they’re pregnant are less likely to pass HIV to their babies.